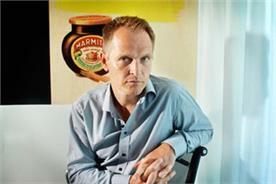 Matt Burgess, managing director, Incs at Unilever, is working to build a higher profile for his stable of food brands. Should David Cameron ever think that presenting President Barack Obama with a jar of Marmite - a brand with a 108-year heritage in the UK - would sweeten the countries' 'special relationship', he would be well-advised to have a word with Matt Burgess first. 'In the US, the flavour is just way too strong to grasp,' says the managing director of Unilever's Incs division, which includes the savoury spread. Such distaste for Marmite is far from universal, however, and this year the brand's 'Love it/hate it' campaign played a part in Unilever securing the Advertiser of the Year award at the Cannes Lions International Advertising Festival. Victory must taste particularly sweet for Burgess after Marmite hit the headlines for all the wrong reasons earlier this year when the far-right British National Party appropriated the brand for an election broadcast. Unilever doused a potential PR disaster by swiftly taking out an injunction against it. Burgess, for his part, is keeping his own counsel on the matter, which seems at odds with the ebullient character, who has spent 20 years at the FMCG company. Burgess' remit extends beyond Marmite to brands with a similarly devoted following, including Pot Noodle, Peperami, Bovril and, somewhat incongruously, Slim-Fast. Yet it is Marmite - which he claims was his son's first uttered word - that is his most treasured responsibility. While this claim can be put down to Burgess banter, there is no denying his love of the brand. 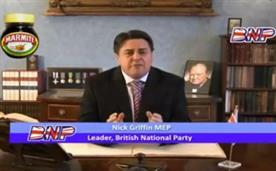 'I feel as though I have the responsibility of the nation,' says Burgess. Developments of the brand this year have been extensive, and consumers show no sign of losing their love of Marmite. Sales have increased steadily over the past three years to just over the £38m mark, helped by extensive social media support, the addition of Marmite XO, an extra-strong variant, and self-parodying ads featuring mock spin-off products such as Marmite shower gel and fabric conditioner for its extension into cereal bars. Nonetheless, it is the politics-inspired love/hate campaign, created by DDB London to run ahead of the general election, that has hit the spot with Burgess. 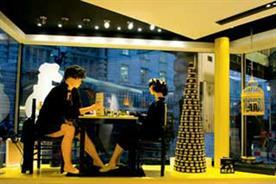 Next off the conveyor belt are likely to be further brand extensions, following on from cheese bites and rice cakes, and Marmite-themed pop-up shops, after the success of one it opened on London's Regent Street late last year. 'The shop may be more than a one-off, but it needs to take a slightly different angle in a new location and be bespoke,' says Burgess. 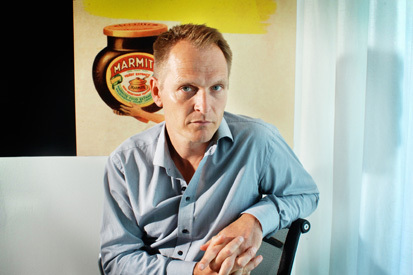 The fame and heritage of Marmite, he admits, have sucked him into spending a disproportionate amount on the brand. Indeed, Unilever backed the beef-extract product with a spend of just £675,000 last year, dwarfed by the £1.3m it splashed out on Pot Noodle and £1.9m on Marmite. Bovril, a favourite of Jerry Hall and football fans alike, is set for a major push next year via a joint marketing venture with the National Trust, which sells the 140-year-old British favourite in its shops. Meanwhile, Pot Noodle, the whipping boy of health campaigners, has recently ramped up its marketing and added several variants. Consumers have lapped up additions to the range, including a Doner Kebab-flavour option, helping it maintain its lead over Premier Foods-owned rival Batchelors Super Noodles. Pot Noodle recorded sales of £70.9m in the year to May, a slight uplift of £400,000 year on year, according to Nielsen. Burgess has masterminded a burst of TV activity around the World Cup, which could help further the brand's growth. Aside from the enjoyment he gets from leading campaigns for his first-love brand, overseeing these cult foods has an additional benefit for Burgess in that it grants him a degree of marketing autonomy. In 2008, Unilever span off Chrysalis, the unit housing the brands; however, it has since reintegrated them into the main business, while keeping them loosely affiliated under the name Incs. The U-turn means Unilever no longer has a separate division with 'local jewel' brands, although Burgess insists Chrysalis was a success during its two years in existence. Slim-Fast is the latest addition to Incs. The dietary supplement food brand, which is apparently being used by Unilever chief executive Paul Polman as part of a rigorous marathon-training regime, faces stiff competition this year. The already congested diet market is set for a jolt when Nestle unleashes its Jenny Craig offering in the UK later this year, but Burgess is unfazed by rival brands. Burgess can be viewed as a rarity in the marketing industry as he started out as a qualified accountant, who chose to move into sales and marketing. He would perhaps have been a welcome addition to the bean-counter fraternity, with his jokey manner (he likens himself to David Beckham at one point) and his penchant for witty one-liners. Doesn't working for Unilever for 20 years mean one runs the risk of becoming an FMCG bore, though? 'I feel as though I have worked for eight different companies,' he says, pointing to his time at Unilever subsidiaries such as Van den Bergh Oils, which no longer exists. There is no further major above-the-line activity planned for Marmite this year, although Burgess is obviously itching for next year, when he will be leading an effort to engage the hundreds of thousands of its fans using social media sites. If he succeeds in getting consumers equally excited about the likes of Bovril, Burgess' 21st year at Unilever could be the one when he takes his cult brands into the big league.